The SST 8 brings revolutionary technology to competitive bowlers aiming to stay at the top of their game. Unique Total Interchangeable Sole Construction.Goodyear Replaceable Rubber Traction Soles.Right or Left Convertible.Leather Toe Drag Protector stops slide sole peel back. Soft Full-Grain Leather Upper. Ruhne Last Stitch-Down Construction.On Shoe-H5 Saw Tooth Heel, H2 Ultra Brakz, S8 Slide Sole, T3 Traction.2 Dexter shoe protectors and 1 Satin Parts Bag In Box-S6, S10, H7. 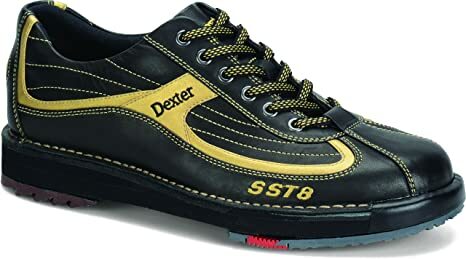 SST from Dexter sets the standard for high performance bowling shoes. 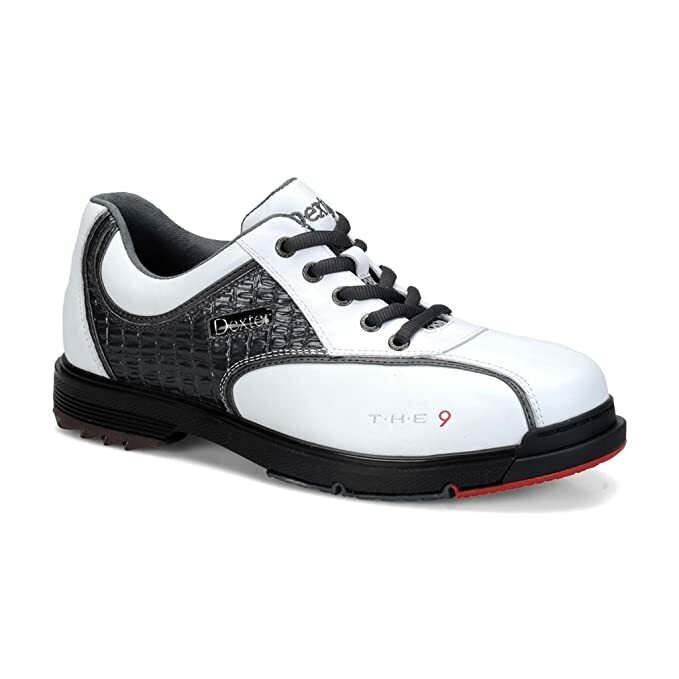 These premium shoes feature a full grain leather and nylon upper for superior comfort, fit and performance. 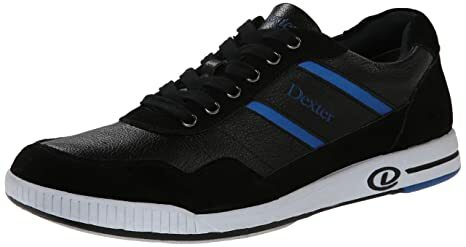 With its raised heel and rubber push off shoe, the Dexter Pro Am is a classic sport style accented with precise hand stitched lines. 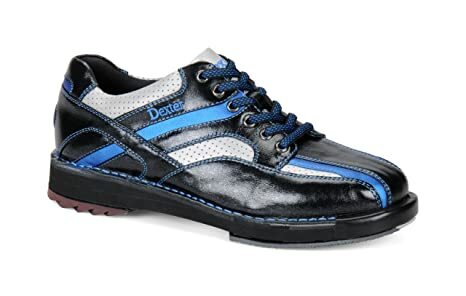 The Dexter David is fully fabric lined with padded tongue and collar with removable footbeds. It also features a defined horseshoe heel. 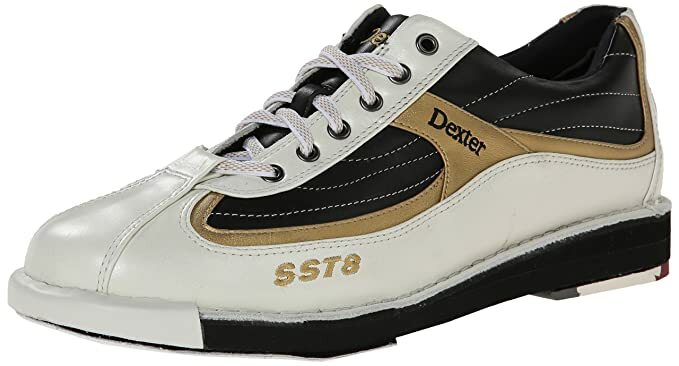 Comfort and good looks never go out of style with these timeless bowling’s shoes from Dexter. 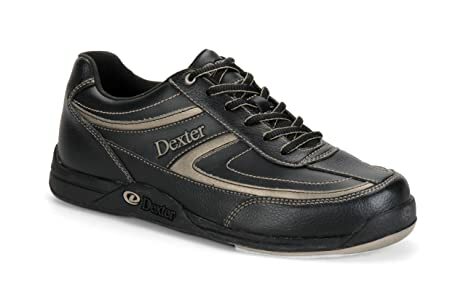 Features a soft, durable man made upper for comfort and support on the lanes.